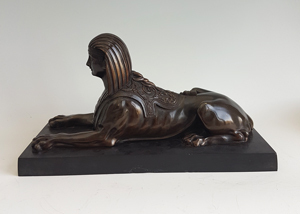 English Regency Egyptian revival Sphinx on black marble base. 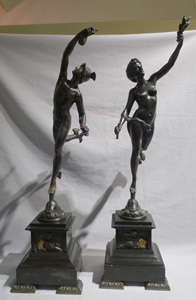 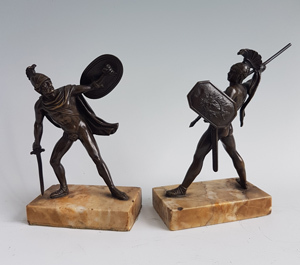 Antique Grand Tour pair of bronze Gladiators on Sienna marble bases. 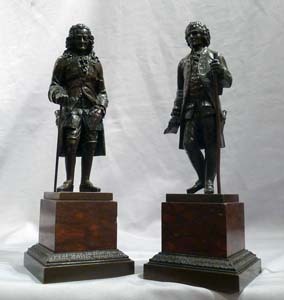 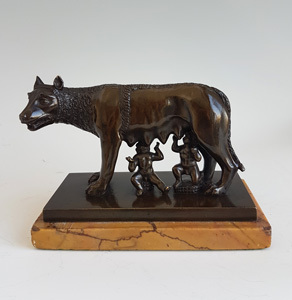 Antique Italian Grand Tour bronze of wolf and Romulus & Remus, the "Lupa Capitolina"
Pair of Antique busts of Rousseau and Voltaire. 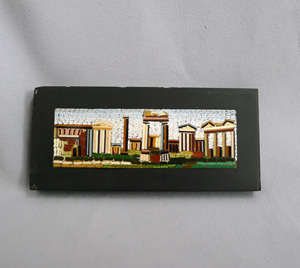 Antique Italian Grand Tour micromosaic of Roman Ruins. 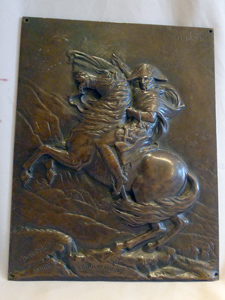 Antique Bronze plaque of Napoleon crossing the Alps after the painting by David. 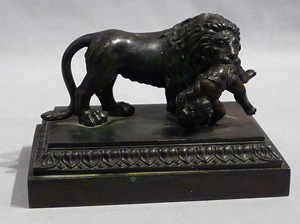 Antique English Regency bronze of Lion with child. 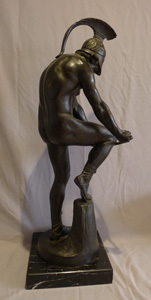 Patinated bronze figure of a Classical soldier by Wilhelm Posoreck. 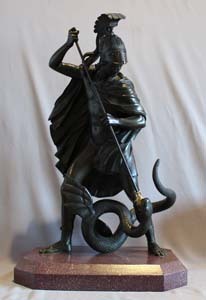 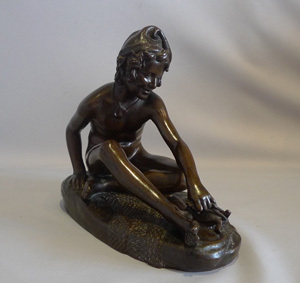 Antique bronze of Jason fighting the dragon for the golden fleece. 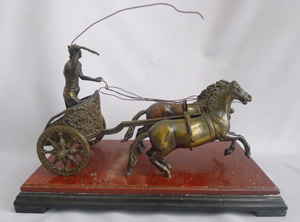 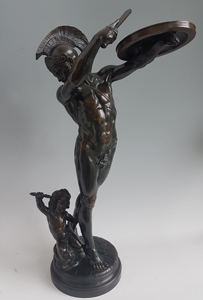 Antique Grand tour rare model in patinated bronze representing Jupiter and Hercules. 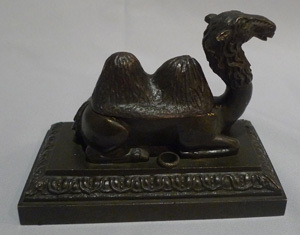 Antique English Regency Camel shaped inkwell. 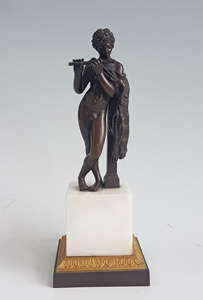 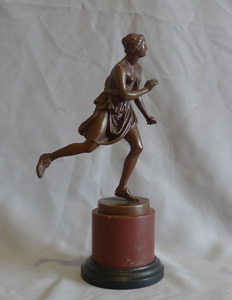 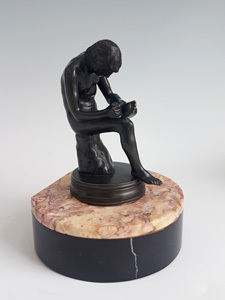 Antique Grand Tour bronze of female athlete after the antique and signed Barbedienne. 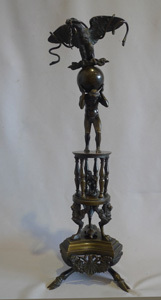 Antique French bronze of Napoleon standing on a column incorporating a thermometer. 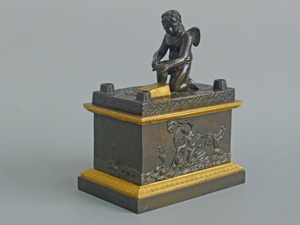 A French Empire ormolu inkwell. 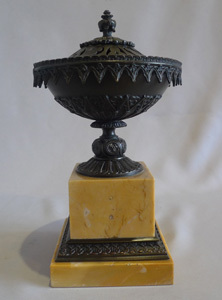 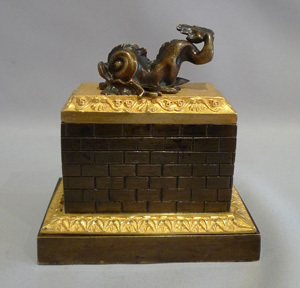 Antique English Regency inkwell in patinated bronze and ormolu with dolphin mount. 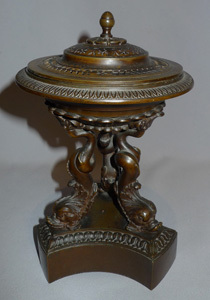 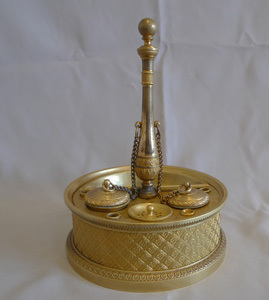 Antique English Regency patinated bronze pastille burner with hand pierced lid. 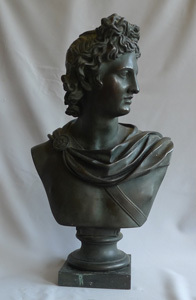 Antique Grand tour bronze bust of the Apollo Belvedere. 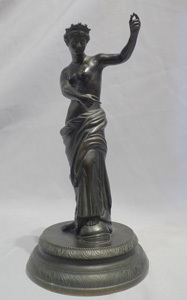 Grand Tour antique bronze of a woman, probably Naples. 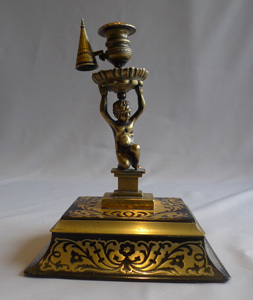 Antique English figural candlestick with snuffer on boulle base signed Wright and dated 1838. 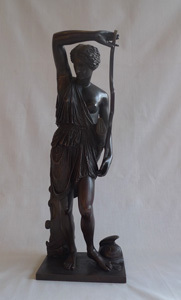 Antique bronze, Grand Tour French, after the antique, of the Amazon. 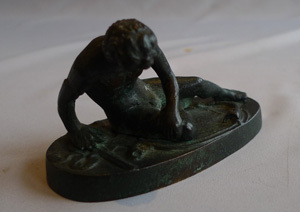 Antique Grand Tour bronze of Dying Gaul. 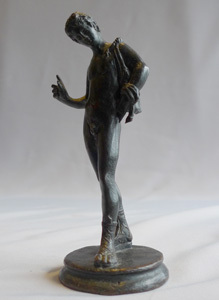 Grand Tour antique bronze of Narcissus. 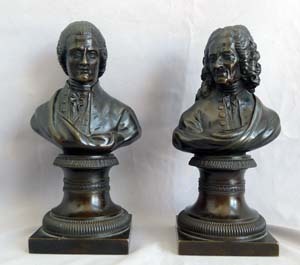 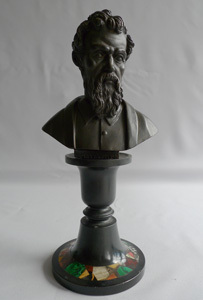 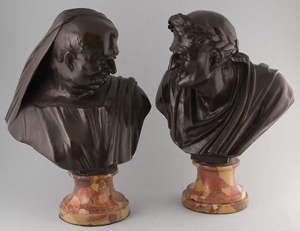 Grand Tour antique bronze busts of classical politicians. 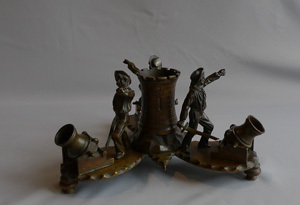 Antique English Regency desk set in form of British sailors defending a fort with mortars. 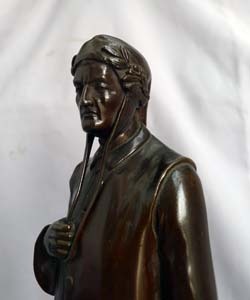 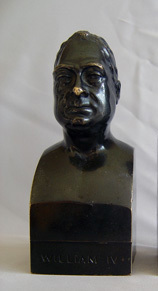 Antique bust of George IV in patinated bronze.